So, you’re ready to build out a new site, and you want to give it all the bells and whistles…but you’re not sure what to use?There’s so many options out there, from hosting something on your own with WordPress or Drupal, to services like Duda, Wix, WordPress.com, Squarespace, and Weebly. They all have benefits and drawbacks, and the decision can be complicated.What should you do? Well, here at Siteturner, we want to help. So we’ve spent hundreds of hours testing each platform, and now we’re putting them head to head. In this article, we take a look at these four excellent platforms: WordPress, Wix, Duda, and WordPress. In today’s comparison, we’re looking at the hosted services, WordPress.com, Duda, Wix, and Weebly. In a future comparison, we will compare these with SquareSpace and a few other website builders. And later, for those of you who are experts, we will compare these hosted services against hosting WordPress or Drupal yourself. 7. So what’s the best value? Phew…now that that’s done, let’s get started with the actual review. Before beginning the comparison, let’s take a deeper look at what Duda, Wix, Weebly, and WordPress are. Let’s start with Duda. Duda is a service that was originally designed for creating mobile websites from desktop sites. It has two different modes: a responsive mode and a mobile website mode. The mobile website mode allows you to create a mobile website out of a standard desktop site. In this mode, you enter a website URL and Duda tries to take that website and turn it to a phone-friendly version. The success with which it does that varies, and we’ll look at that more in depth later. The other mode allows you to build a responsive website by choosing a template and then adding widgets. This mode more directly competes with WordPress, and can be very useful, as we will find out. Weebly is a well known eCommerce and website building solution that powers over 50 million sites to date. It has a huge following due to its close integration with Square, and it also has many website only customers. Weebly’s solution includes an excellent drag and drop builder, as well as plenty of eCommerce tools and analytics/other software. WordPress is the most well known of all content management services, and it’s in use by an estimated 25% of all of the websites on the Internet. Like Duda, WordPress also has two different modalities. You can install the open source platform on your web server, or you can go to WordPress.com and build a site online. The latter is a direct competitor to Duda, while the former is an indirect competitor. In this article, we will mostly be looking at the online version, WordPress.com (which we will refer to simply as WordPress from here on), although much of the comparison is transferable. We will look into the difference between self-hosting WordPress and using the online version in a later article. Wix was started back in 2006, making it almost as old as WordPress (but not quite). You’ve probably seen the commercials for Wix, since they’re on all the time. This is a more mature product than Duda (and even Weebly), but it’s not quite as innovative anymore. 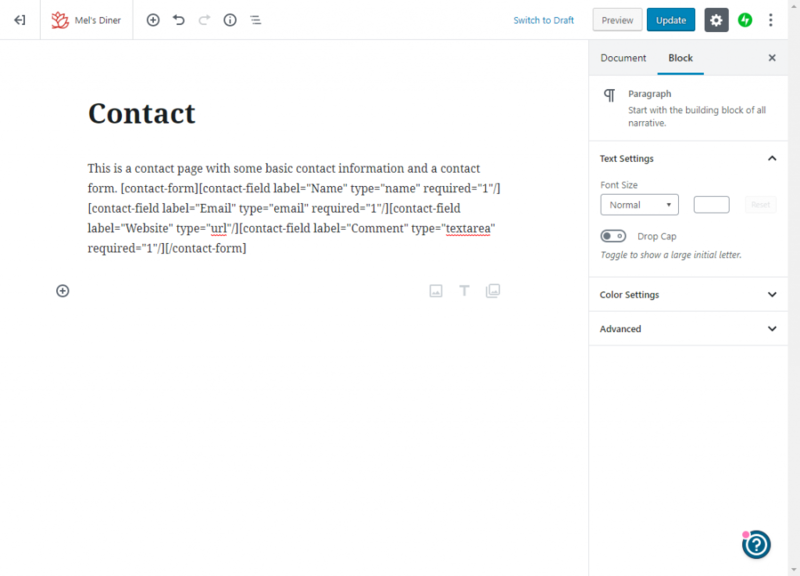 There are multiple modes of service, including a drag and drop type builder, an (essentially) automatic site designer, and a coding option for advanced users. Wix has a very large ecosystem of developers, who provide additional functionality for the service. How easy is it to set up the platform? How easy is it to build a complete website? How easy is it to make changes to the website? Design – How good will the website you created look? Are the colors complementary, or do they clash? Are fonts uniform? Do new widgets or elements that are added to the site match the current ones? Functionality – How much functionality is available? For example, can you connect your site to different data sources? How comprehensive are the editing options? What about permissions and multiple users in an organization? What plugins/apps are available? Performance – Performance is comprised of two major categories. First is speed and page optimization: how well will your website perform? This is an important factor in search engine rankings, and you will turn users off if your site is too slow. Second is mobile performance. It’s all about mobile these days. Google has implemented its mobile-first indexing for many sites (meaning that Google is only looking at the mobile version of your site when determining rankings), and mobile traffic makes up more than half of all Internet traffic. So your site had better work well on mobile. Price is of course extremely important; however, what’s more important is total cost. For instance, you can download the entire WordPress source code and install it on your home computer for free — but when you add in the cost of installation, tech support and bandwidth, you’re in for thousands of dollars. No matter how nice your site looks, it’s useless if people decide to leave because it’s taking too long to load. Additionally, Google uses page load speed as part of its formula in determining search engine page ranking. So it’s absolutely vital that your site loads relatively quickly. In order to test performance, we decided to use Google’s PageSpeed test suite on Wix, Weebly, Duda, and WordPress. In terms of methodology, we used skeleton sites created with each product. We chose a template at random, and then immediately published the site, and ran the page speed test on it. We did this multiple times, with different templates, and took the average scores. Obviously, this methodology isn’t a perfect measure of how well your site will perform. However, it gives a good baseline to determine how well you can expect a site to perform on each platform. In test results, all of the products in our review did relatively well. WordPress performed the best, but it’s important to note that much of its excellent performance is due to the fact that the available WordPress templates and features tend to be less graphical (and less attractive) than its competitors. More interesting is the fact that Duda came in second, receiving nearly as high a score, even though its templates and designs are much more graphical, and filled with animations, widgets, and CSS transitions. Getting started with WordPress is really simple. You go to the WordPress.com website and register, then you enter a few questions. From there, you’re asked to choose a site URL, and at that point you’re asked to sign up for a paid version, which allows you to get a free domain name. Once your site has been created, you will see a sort-of wizard that helps you get your site published. The wizard will walk you through choosing an icon from the site, and adding a tagline. Up until this point, the process is as easy as writing your name, but here is where things get more complicated. The rest of our testers ignored the code (it’s a contact form) and continued on creating their page. However, once you have completed the contact form section, you’re set out on your own at the main page…and it’s very unclear how to continue from there. And unfortunately, the interface isn’t the same as that of the open source version of WordPress, so even people with WordPress experience may experience some confusion. WordPress doesn’t actually have a built-in eCommerce solution. Instead, it allows you to use WooCommerce with a one-click install. For those of you who don’t know, WooCommerce is the most widely used WordPress eCommerce plugin. It’s used by hundreds of thousands of sites online, from small sites to enormous ones, so you’ll always be able to find help and support. However, there are downsides to WooCommerce. The plugin is not easy to use, and it takes quite a bit of experience to get everything set up and running properly. Getting a nice looking website up and running is pretty easy with Duda, but there can be some little quirks that make building your perfect site a bit more complicated. Duda has two modes: you can either build a responsive website using a step by step process, or there’s a second mode where it will build you a mobile website based on the content from your desktop site. In this article, we review the step-by-step process. Unlike with WordPress, when you start your website with Duda, the first thing you do is choose a template. There are over 150 different templates to choose from, including dozens of business templates. Once you have chosen a template, you simply enter the name of your site, and the system puts together a site for you, which you customize using a drag and drop GUI editor. Duda’s site editor is arguably the most graphical of all of the products in this article. For those who are familiar with a tool like PowerPoint, it’s pretty easy to get a hang of how to add and format design elements. All you need to do to add an element is select it from the widgets menu on the side bar, and drag it onto the page. The Duda editor has some really cool features too. If you have a restaurant, for example, you can just enter your restaurant name and the system will find and populate your menu (obviously, it has to be somewhere — in some form — online) to work properly. We tested this, and it worked perfectly. Building a store on Duda is pretty straightforward. You can enter your products, or import them, and then the system does most of the work. We found everything to be pretty self-explanatory. There are several payment options, including Square, Paypal, and Stripe, and automated shipping calculation. Duda shops integrate with Facebook, Instagram, Google, and even Amazon, so you can sell there too — if you have the right level plan. There are pretty good analytics included free, although you will need to install a paid app to get complete ones. Getting started with Weebly is a lot like getting started with Duda. You pick one of around 40 themes, select a site name, and then start customizing the site with a GUI drag and drop editor. The editing tool is extremely intuitive, and anyone who has used something like PowerPoint will be able to understand it pretty quickly. Our testers all agreed that Weebly had the easiest editor to use for design tasks, although the difference between it and Duda was minor. Adding pages is simple, and pages are automatically linked properly (and appear in menus, as you’d expect). You don’t have quite as much leeway in design as you do with Duda, but none of our testers could come up with a viable use case in which we would need that extra design leeway. Weebly has all of the standard widgets that you would expect, but it doesn’t have some of the more specialized ones (like menu, for restaurants) built in. There are apps for these additional features, but we found them to be a bit disappointing compared to the ones built in to Duda. There were a couple of features that we couldn’t get to work, like the cookie opt-out, which we placed on the page, but could never get to appear on our published site. 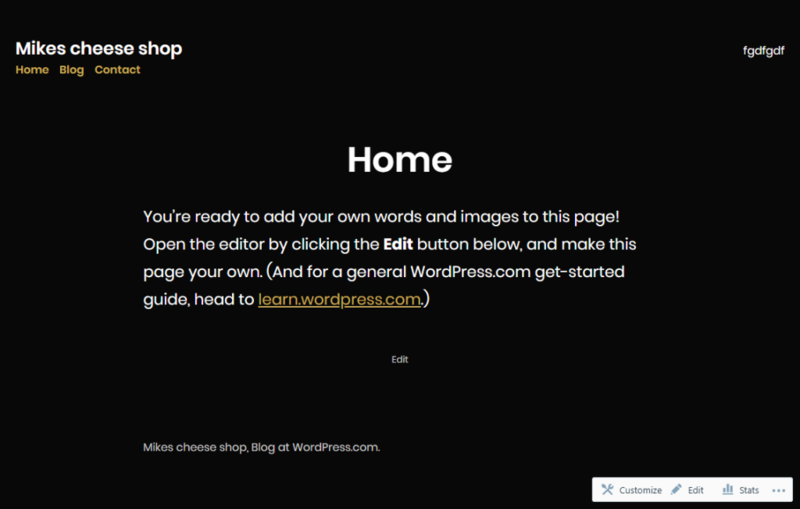 Building a store on Weebly begins with entering some basic store information. Weebly’s eCommerce functionality is more tightly integrated into the website building process than it is with Duda or WordPress. This makes it easier to follow. Weebly has excellent import options, including CSV, Shopify, and Etsy, as well as multiple built in shipping options, so you can get your store up and running quickly. It also doesn’t have the integrations with Amazon, Facebook, etc. that Duda has. 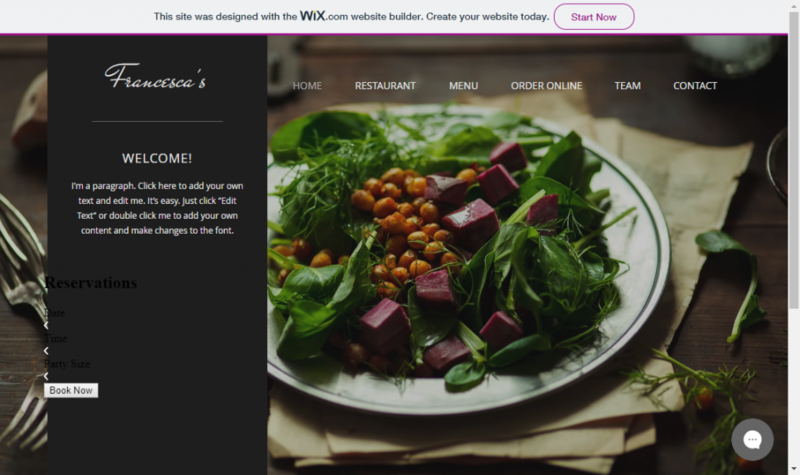 Wix has two options for starting your website. You can start with a drag-and-drop GUI, or you can start with a Q-and-A type builder. If you use the Q-and-A builder, the system asks you what kind of site you want to build, and it includes countless options. You then answer a few questions about your location, and you choose from one of around 30 themes. Once you do that, you can choose one of a handful of designs, and then begin editing. From there, you can make some basic changes to the site content. With the GUI, you have complete control over look and feel, with a nice drag-and-drop editor. And the GUI editor has a whopping 600+ template options. However, it’s not as easy to use as the ones from Weebly or Duda. Wix has by far the most options for widgets, including hundreds of buttons, backgrounds, lightboxes, menu styles, and more. After a few minutes of use, it’s clear why Wix developed the Q-and-A builder. The drag and drop GUI is very capable, and not particularly hard to use. However, with all of the options, it’s nearly impossible to create a good looking, cohesive design. Unless you’re an expert graphic artist, you’re bound to end up with a hodgepodge, mishmash of widgets, like something designed by a toddler. Unfortunately, it seems Wix has a Goldilocks problem — the drag and drop GUI gives you plenty of control, but building a nice looking website with it is extremely hard. Meanwhile, the Q-and-A builder is easy to use, but you end up with very few design options. You can combine the two, but they’re not 100% compatible, so edits in one may not be visible in the other. Surprisingly, building a store with Wix is much more straightforward than building a site. You are walked through the process step by step, beginning with adding products, then selecting a payment method, and choosing shipping. Nevertheless, the built in store functionality is somewhat limited. The only import options is CSV, and shipping calculations are only available from USPS. Regardless of whether you use WordPress, Duda, Wix, Squarespace, or Weebly, you’re bound to get a great quality website. However, some of these services produce slightly higher quality sites than others. Which product creates the nicest designed sites? Which offer the most functionality? Let’s take a look. WordPress is by far the most stable and tested product on our roundup. You really can’t go wrong if you use it. With WordPress.com you get access to the humongous library of themes and plugins available for WordPress. That means you can choose nearly any theme on Siteturner, or any of the major theme markets, and you should be able to use it for your site. 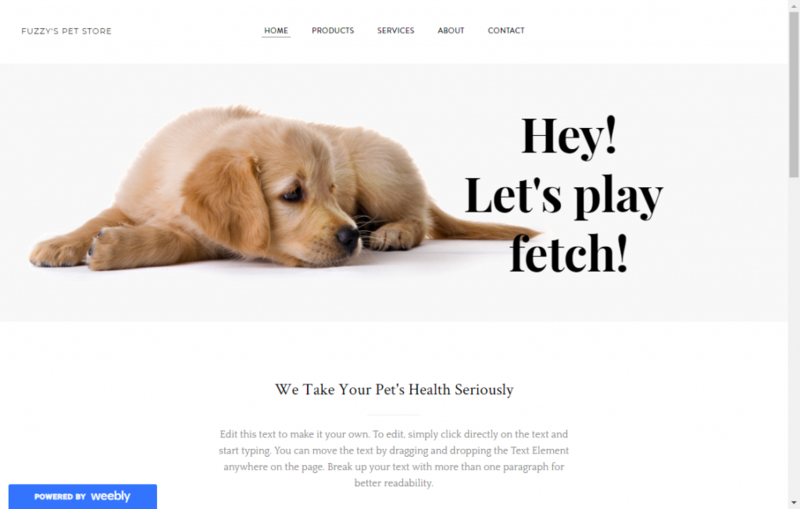 The WordPress community has countless gorgeous themes available that fit any niche possible. This extends to plugins, as well. You have a huge selection of plugins that you can use with just a quick installation, but you can also install the vast majority of open source WordPress themes on WordPress.com. In all, this gives WordPress users near infinite customization, and the most features of any of the products in this review. However, doing any of this requires significant technical experience and knowledge of WordPress. If you have that, you likely host your own site, instead of using one of these services. There are other downsides to using WordPress. We found the design quality of the built in themes to be a bit less impressive than some of the competitors. The themes available aren’t as eye-popping as Duda or Weebly, and there isn’t quite as much cohesion of design as there is on the other platforms. There are also nowhere near as many widgets available on WordPress than there are on other options, like Wix. There are mostly standard blocks, which you are responsible for styling yourself. This is a site we created in 5 minutes using WordPress. We stopped at the 5 minute mark to see how good it would look. You’ll notice it’s pretty basic compared to the others. Because WordPress uses the tried and true WooCommerce plugin for stores, it has by far the most functionality of any of the products on this list. However, that comes with a significant cost. You will have to learn to set up and use WooCommerce, which is not for the faint of heart. Moreover, WooCommerce forms will have to be styled separately, and likely won’t look good out of the box with the standard templates. What really sets Duda apart from the others is its ability to create a beautiful and functional site with little work on your part. Although it has fewer themes than some of its competitors, all of the themes fill a niche, and they’re extremely attractive. You’re bound to find a theme that fits your particular type of site. Each theme has beautiful transitions and tasteful CSS animation. Duda has a bunch of cool widgets built in to the platform. These include an online scheduler, Yelp reviews, menus, social feeds, and much more. When you add any of these widgets to your site, it is styled to match the section of the site you add it to, meaning you won’t have a mismatch of fonts or colors. There is also a lot of support for editing and/or inserting your own HTML code, if you want to modify the design in a way that is not supported by the editor. Of course, this is for advanced users only. Duda has a lot of great functionality built in, so even though it doesn’t have a third party app market like the rest of the products here, you won’t miss it. There is excellent support for social media, including automatically syncing content. And it can even pull in content automatically by scraping your existing website. Some of the other features you get include built in analytics and Google Analytics connectivity, and even white label functionality (if you’re an agency, and you want to resell the site builder). Duda is designed for teams and agencies, so there are plenty of multi-user and project management tools. Most of us will never need to use those features, but they’re there in case you do. This is a site we created in 5 minutes with Duda. The template looks nice, and our pages were added in to the navigation properly. Duda has everything you need for light eCommerce stores built right in. You don’t have to worry about plugins — it’s all integrated. And each theme is designed to seamlessly provide eCommerce functionality, like shopping carts and checkout forms. There are several features that Duda has bulit-in, which no competitor has, including automatic marketing on Facebook, Google Shopping, eBay, and Amazon. Weebly, like Duda, allows even the least artistic of us to build a gorgeous site. The themes that Weebly offers are of extremely high quality, although there are not as many of them as we would have liked. 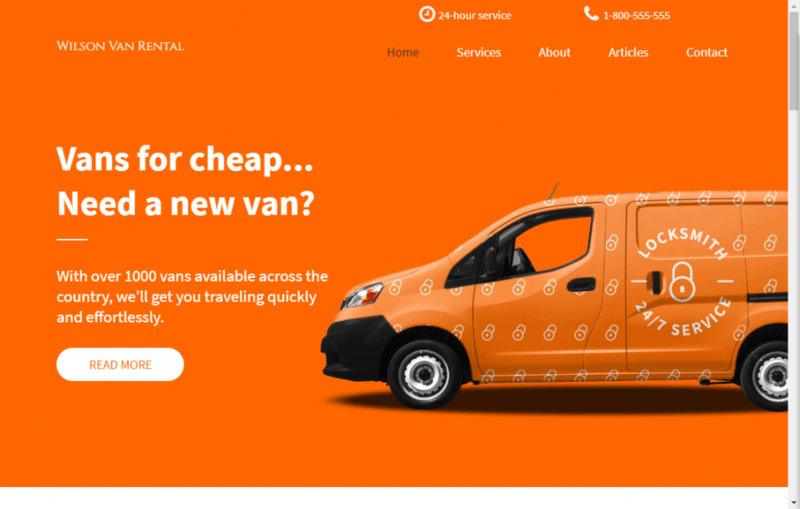 Each Weebly design is extremely crisp and clean, and the elements are laid out in a way that is intuitive, so your end user won’t have trouble with your site design. When you add additional widgets to your site, they are laid out well, and they never seem to look like they’re out of place. In our opinion, Weebly does the best job of ensuring that you can’t mess up your site design. Whenever you add widgets, they are styled (colors, fonts, shape) to look proper on the section of the page where you place them. The Weebly editor arranges content very nicely, and when you add a widget, other widgets are moved accordingly, and the margins and padding are set so that everything looks like it belongs. Aside from looks, Weebly offers a standard set of features, with hundreds of excellent third party apps to complement them. Most of the plugins are either free, or have a free version available. One gripe we have: the themes that are offered with Weebly don’t cover as many niches as those of their competitors. For instance, there is a restaurant theme, but there are no bakery themes. So you may have to use a theme that doesn’t perfectly fit your business. This is a site we created in 5 minutes using Weebly. It’s attractive, and the navigation and logo look good. Weebly has the easiest store building features, and they’re extremely tightly integrated into the complete Weebly solution. All of the design is seamless, and everything works cohesively. The feature set is spectacular, with tons of different options for importing content, and some excellent functionality (such as product customization and automatic rate calculation). Wix gives you the most latitude to build what you want of all of the products we reviewed here. There are 600+ themes (if you use the advanced designer), and hundreds of apps that will allow you to do nearly anything (although their cost and support level may vary). The huge number of themes means that you’ll always be able to find a theme that fits your business/site requirements. Looking to build a website for a baking class? They have a template for that. What about for a shaving equipment store? They have one for that, too. Wix also has some cool features that the other products didn’t have, like an SEO wizard that audits your site, and provides you with a complete report on the SEO issues that you may face, and how to resolve them. Other cool features of Wix include a feature packed membership module, which essentially allows you to turn your Wix site into a social media site, with users, profiles, posts, messages, and more. Recently, Wix included a complete third party analytics tool with every plan, so you get good quality analytics information, even if you don’t use Google Analytics. There are some places where Wix lags behind the competition, however. First, there are no good import/export options, so if you build on Wix, you’re kind of stuck there. It’s nice to be able to import content from other place, and to export content if you outgrow Wix and want to move to a dedicated platform. More importantly, however, is the design. Although the majority of the templates are really nice, there is a lot of room for user error in building a complete site. When adding widgets, the widgets aren’t designed to match the template, so you can just drag and drop totally mismatched items onto a page. The editor just inserts widgets wherever you drop them, so you can end up with overlapping elements, or just confusing design. And the fonts aren’t chosen to match the template, so your site can develop a mismatch of fonts. For someone with strong artistic senses, none of this is a problem; however, those of us with terrible feel for design can easily end up with something looking like a 1990s teenager’s website. This is a site we created with Wix in 5 minutes. You’ll notice that the template and logo are gorgeous, but the booking widget is not properly styled. Wix’s store solution has an excellent feature set, including product customization and automatic rate calculation. It has the largest set of built in payment processors, and plenty of tools available. However, it’s not quite as easy to use as Duda or Weebly, and it’s not quite as functional as WooCommerce on WordPress. Prices are per month, billed annually, unless otherwise noted. So what’s the best value? Well, it depends on what you’re looking to build. The fact is, any of these tools are excellent. You can’t go wrong with any of them. That said, there are some that are better than others for certain requirements. If you’re building a blog, your best bet is WordPress — especially if you’re looking to spend a small amount of money. For $5/mo you can get a free domain and plenty of storage. However, you will still have the WordPress branding. If you’re trying to build a small business website without eCommerce, you are best off with Duda or Weebly. Duda offers a great value, and plenty of beautiful themes, as well as some high end features. Weebly includes a domain in its $25/mo plan, as well as $100 Adwords credit, so you can promote your site. For eCommerce websites, Weebly and Duda are also excellent. Weebly has tons of eCommerce features, and is backed by Square, so it’s closely integrated with your brick and mortar payments solution. Duda is also an excellent choice for eCommerce. Finally, if you’re building something more advanced, and you have some skill in building websites, your best bet is Wix. Wix has the most widgets, tools, and additional functions. And it has an excellent developer console. If you have some design skills, and understand website building, you’ll find Wix to be an excellent choice.